According to dictionary.com, a snail is an animal (a mollusc) possessing a single shell (spiral) into which the whole body can be withdrawn. Snails are generally very nutritive animals and have a high market demand. They tend to reproduce fast and also require little capital from the farmers. - Snail farms are easy to run and manage. - They are affected by cultural limitations: Some tribes forbid the eating of snails in their regions. This makes it less lucrative in the region and sometimes, only visitors eat them in such areas. - Growth: Inasmuch as we stated above that snails have a fast growth rate, in a fully matured snail, relatively only about a 40% of the whole snail gets eaten. - Climatic issues: Except artificial means of climatic control is adapted, snail farming is limited to the humid tropical forest zone which offers a preferable temperature (constant), fairly constant day/night rhythm, high relative humidity and (preferably) no dry season. 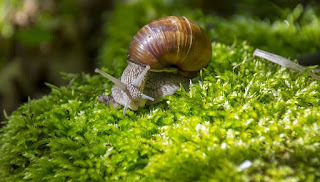 - Snails pose as pest in farms: Snails that escape from their farms or are abandoned by their farmers have a high risk of eating up the leaves of crops planted in the farms. We'll guide you through the steps involved in starting and running a snail farm in Nigeria including the equipment involved. This is one of the most important stages in snail farming and it's where many people fail. It is something you should consider very well before venturing into it. You need to know the basics of starting the business, the challenges you might experience while running it, the breed type that will do best in your location and other things. You can pick up tutorials and courses that will help you learn the basics of starting and running a snail farm. When you advance more into the business, you'll gain more experience about it. Do you know that snail shells can be used for making Vim? Well now you know, why not try it? The type of soil you utilize in breeding snails play major roles in the snails' life cycles. The calcium that the snail requires for it's survival and for the formation of its shell. The soil type also plays an important role in the during the period of hatching and laying of the snails' eggs. This is because of the fact that snails bury their eggs in the soil. Snails mostly feed on plants like fruits and vegetables. However, in modernized farming, there are formulated feeds that are rich in calcium that have been specially produced and prepared. These feeds help the snails to grow faster than the traditional snails. Snails also feed on different varieties of crops like cabbage and lettuce, pawpaw leaves, water leave, okra leave, water melon, cucumber, pawpaw, and many more. In Nigeria and other African markets, the demand for snail is higher than the supply. These makes the market readily available because the snail farmers are not currently meeting the consumers' demands. As a snail farmer, your target markets will be the market women, supermarkets, hotels, pepper soup joints, restaurants, and other outlets that utilize them both for cooking and re-selling. This is another important factor that should be considered while setting up a snail farm. The farm should be properly selected, chosen and situated in a predator-free environment. The site should also be tested for signs of bacteria and diseases that may be harm the snails. Make sure there are trees or plants that will shield the snails from wind and direct sunlight. Snail farms should be located away from the wind direction. This i because of the fact that wind aid in increasing the rate of dehydration in snails. Snails are generally cold-blooded and sensitive to changes in the humidity of the atmosphere around them. Fluctuations in the humidity can cause the snails to lose valuable growing time. Snails prefer average temperature atmospheres, atmospheres that are neither cold nor hot. The farm should not be far away from the farmers house. This is because he/she needs to monitor and supervise the snails on regular basis to know when it's best to feed them. It'll also help the farmer to detect pests and diseases in case of attack and protect the snails from attacks. Snails prefer soils that are damp however, farmers should avoid lands that are prone to flooding. Rain and dew are keep the soil the damp enough for the snails to move around freely and lay their eggs. In conclusion, the ideal soil for growing snails is the loamy soils, this is because they allow water and air to penetrate the soil easily.